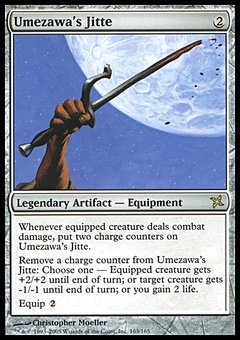 Divine Intervention ($61.95) Price History from major stores - Legends - MTGPrice.com Values for Ebay, Amazon and hobby stores! 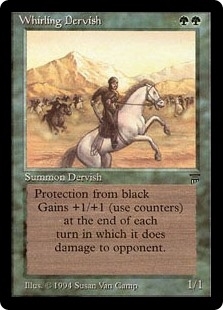 Card Text: Divine Intervention enters the battlefield with two intervention counters on it. At the beginning of your upkeep, remove an intervention counter from Divine Intervention. 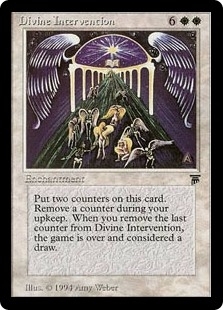 When you remove the last intervention counter from Divine Intervention, the game is a draw.